So Yesterday was a pretty simple day for me since its a Monday and I don’t really eat much on those days thanks to Field Hockey. I did finish day 6 of insanity yesterday and can’t believe I made it a whole week and still enjoy it haha! I ended up playing 3 games of field hockey last night and got an amazing workout in. I stopped a lot of goals and even score 4 myself THANK YOU VERY MUCH lol. When you play against Division 1 BU players you have to step up your game so you don’t look like an old fougie haha. I held my own and they even gave me some compliments! Thanks young whippersnappers for making a girl feel good. 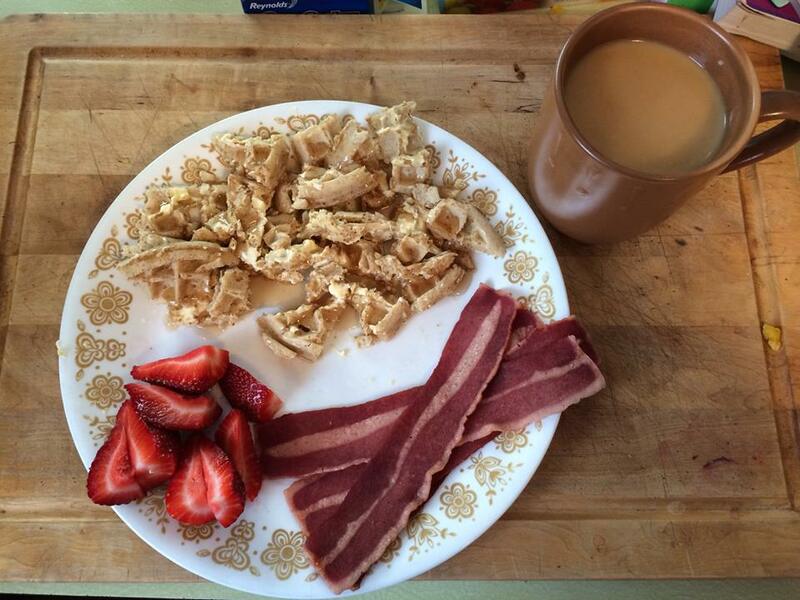 So this morning I ended up cheating and having Eggo Multigrain Waffles. I was just so tired and wanted something simple and easy for breakfast and the kids wanted waffles so it was waffles lol. 8point breakfast this morning! So this is a recipe I’ve had for a long time and I love it because its so simple, healthy and filling for me. A whole head of cauliflower and 30 minutes and you have yourself a tasty meal! 0 WW points mind you! Preheat oven to 400 degrees. Mix all spices together in a small bowl or cup. Drizzle olive oil all over cauliflower florets and sprinkle with spice mix. Toss together and lay out on a baking sheet. 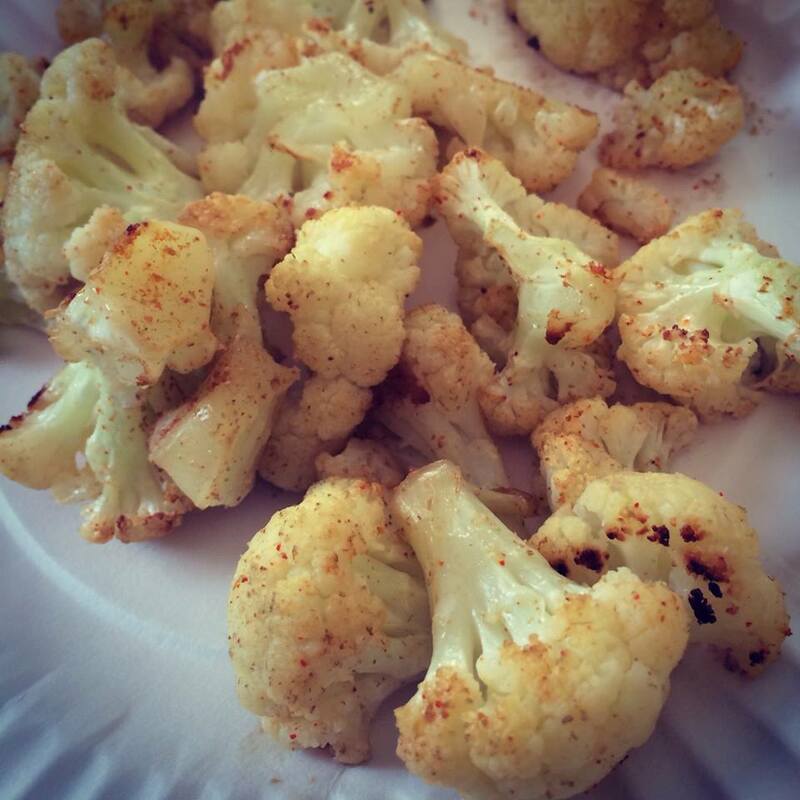 Roast spicy cauliflower for 25-30 minutes, turn halfway through cooking time. So for dinner was a Crock Pot Balsamic Pork Roast. 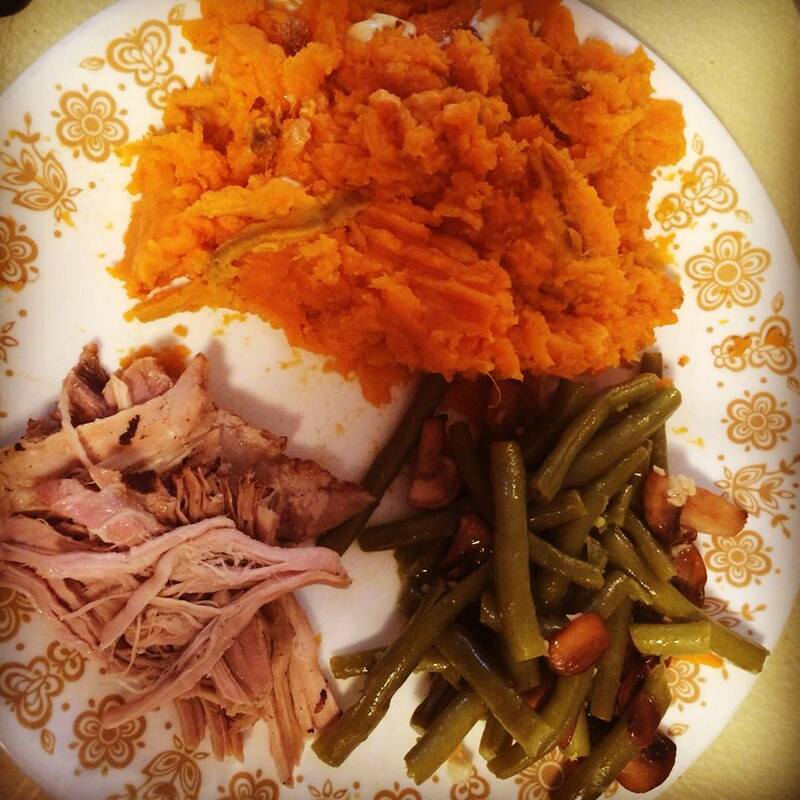 Sides of Sweet Potato and Green beans and mushrooms! It came out awesome and I will certainly make it again. I need to next time thicken the broth it was in so that it can go over top to add more flavor when it was on the plate. I may add a couple more spices to it too to give it a better kick but if you aren’t one for spicy then stick to the original recipe and you will love it I just know it! 9point WW meal. Don’t beat yourself up over a gain. You will find out what works for you and what does not. It’s all a process. 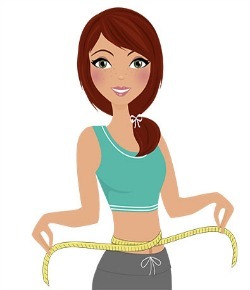 … A pretty aggravating process at times, but so rewarding once you start to see the results. Also, those recipes look delicious!